Group show featuring a diverse collection of paintings of scenes of nature, flowers and the natural environment. The show includes two new large unconventional landscape paintings by 2006 John Moores prize winner Martin Greenland which, whilst complete invention, give an illusion of reality. 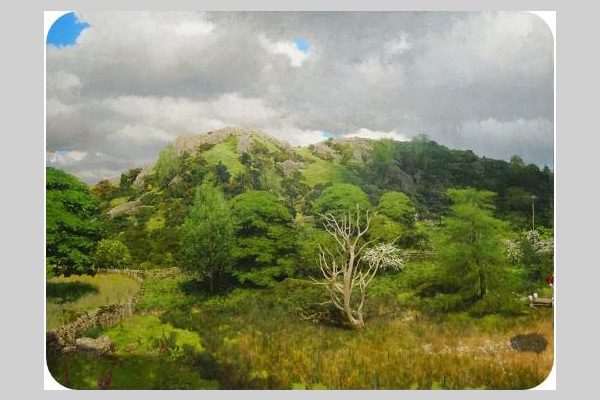 Nameless Hill and Little Paradise have not been previously shown outside Windermere in Cumbria where Martin has his Studio and where he uses his memory and imagination to paint about his experiences with landscape and man’s presence on the land. The show also includes original works by Adrian Henri which has not shown for many years as well as new works not previously exhibited by Sandra Cooper, Anna Ketskemety and Andy Brewin as well as work by Angie Clarke & Martin Jones. The gallery is open Wednesday – Friday 13.00 – 17.00 or by appointment.